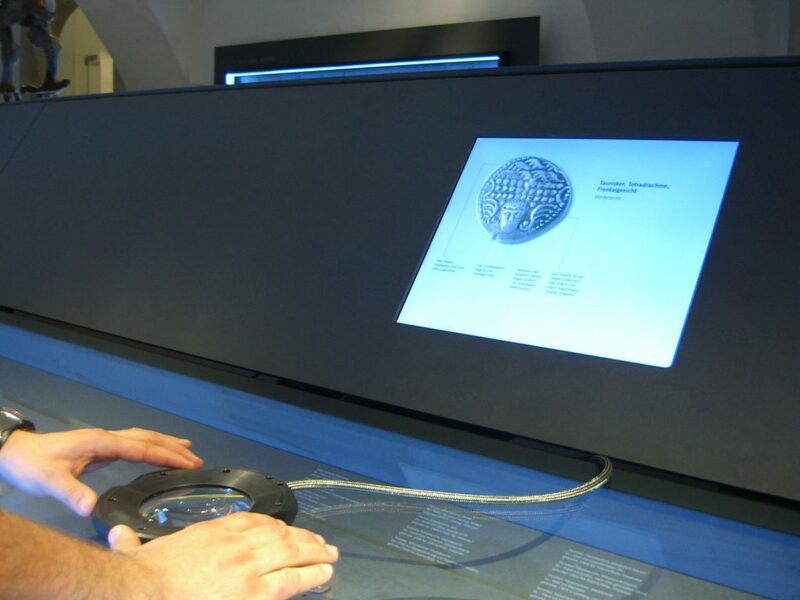 The treasures of the Eggenberg Palace Coin Cabinet are multimedia-based tangible while looking through the interactive magnifiers. 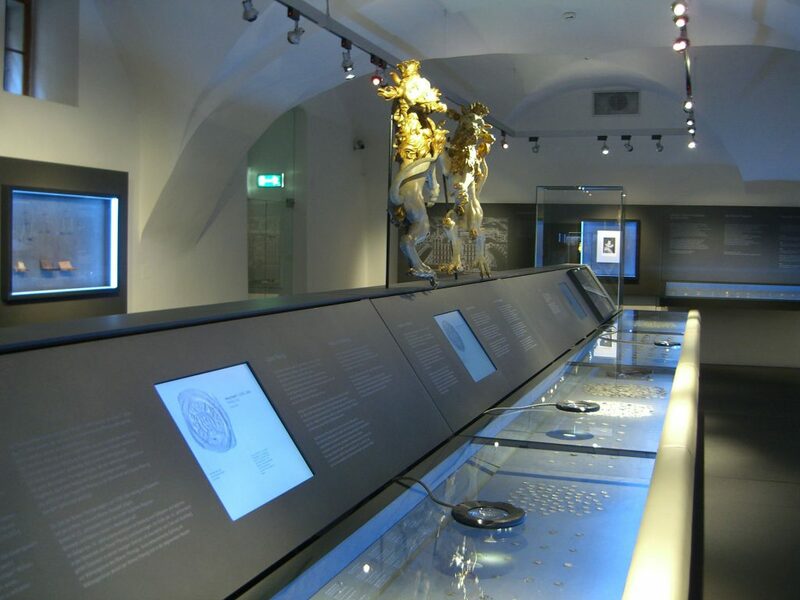 The Coin Cabinet of the Universalmuseum Joanneum in the Eggenberg Palace stores more than 70.000 coins and ducats. In almost 500 years old rooms, unique treasures are restaged with multimedia. Visitors are able to gain detailed insights into the artful exhibits in by using magnifiers along the cabinet. The coins aren’t just only augmented through the magnifiers, they start to tell their own history. These stories are visualized with monitors alongside the cabinet. With the help of RFID technology inside the magnifier and under the coins it is possible to give response for single coins. 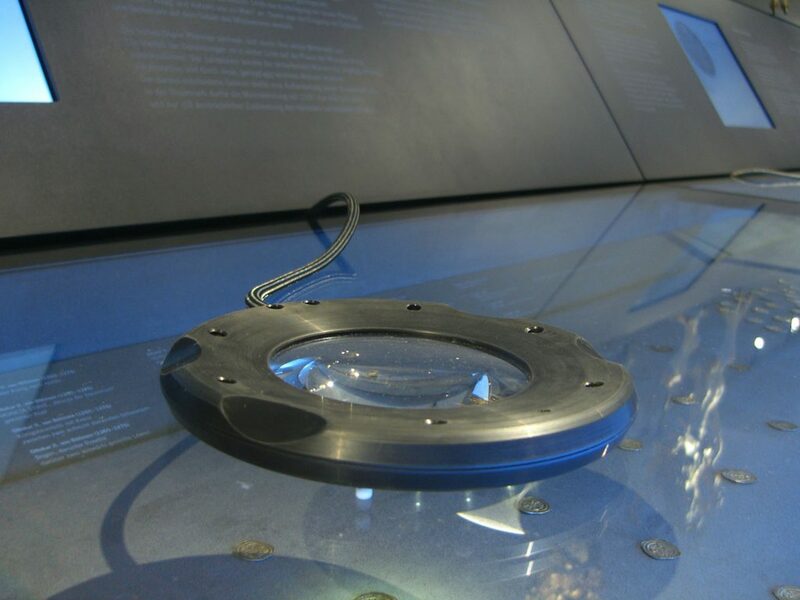 The custom produced magnifiers allow the optical augmentation and the digital recognition of coins.